by Having a Laser Sharp Focus! Do You Easily Get Distracted? Are Your Productivity Levels Low? Did you know that the most common struggle people have when it comes to their online business is getting things done? Can you relate to these comments? How can I stop getting distracted? I need to focus – but how? I can work away and get loads done but sooner or later something happens and I get distracted again. It’s like a cycle. The trouble is that during those times of distraction I am prone to start seeking out information instead of providing information! My mindset shifts from being that of a seller to a buyer. And that’s bad news! So a while back I did some research and experiments to see if I could get rid of the distractions and interruptions while working online and become more and more focused. One of the great things about my method of product creation is that it automatically removes distraction – but what about when I’m generating traffic, marketing, writing email campaigns – how can I prevent being distracted when I do those things? I learned a lot about myself while doing this and I discovered that becoming more focused and productive has a lot to do with our own individual personalities. What Works For Me May Not Work As Well For You! And so I have created a course for you to discover the methods that will work best for you and your own personality type. How to find out your bad habits and the triggers to them – so that you can remove them once and for all. How to pin point the areas of your own business that you need to focus on – so that you only work on those tasks that build your business. How to understand what will help you to stay focused – so that you can be productive consistently, day in and day out. The More Productive We Are The Quicker Our Progress And The Bigger Our Success! 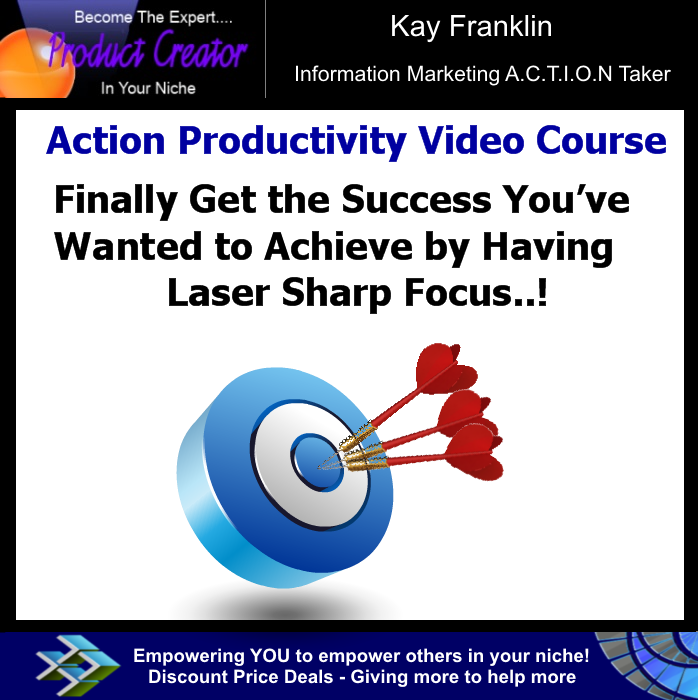 The course I have created goes into a lot of depth and provided you are honest with yourself as you go through the 9 videos, you will have a real breakthrough with your own focus and productivity. You’ll be itching to get going! This is an overview of the course and why you first of all need the right mindset. Once you get that on track the rest of the system will be easy to implement. 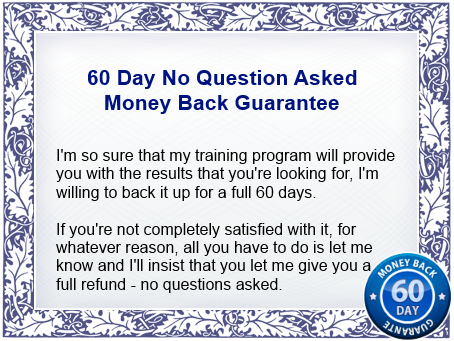 You’ll learn how the system works and why it works so that you can speed things up faster. In this video, you will learn more about who you are and how you tick. This is really important if you are going to be able to stay focused and remove distractions and bad habits. We are all different and therefore you will find out the things unique to you that you can begin tackle and improve. Most people don’t bother to find out their personality type but when you do you’ll discover a clarity of direction in terms of where you are headed and how to get there. We all process data differently. Some people just go with the flow while others like everything to be regimented and organized. The way you arrange your workstation, where you work, the things around you, your own plan of action – all of these aspects impact your productivity levels. When you understand what works best for you then you will be able to see progress much quicker. Breaking those habits that are having a negative effect on your productivity and achievement will help you regain your laser sharp focus, and help you complete things which lead to more success. Remember success isn’t always about money – it is also about moving you closer to your end goal. Before we can break these bad habits it is critical to know how you spend your time when working online – because when you know this you will be able to pin point with accuracy the areas for improvement. Lack of focus plays a huge role in whether you see success or not. The main reason why people fail online is due to distraction. We often spend time getting distracted especially while working online and in this specific video, I will show you a great way to analyze how you spend your time. When you understand the things that you spend your time on, you will be able to work out ways to eliminate those time wasters. As they say, time is money, and once time is lost – it is lost forever. At this stage you will really know who you are in terms of the way you work, your bad habits and where you are spending the most of your time. So now, it’s time to break free from your bad habits! I will give you tips and tricks on how to do this. Being focused means understanding exactly where you want to go and what you want to achieve. So we need constant reminders of what our goals are. So how do you remind yourself about your main focus so that you can get it done and stay on track? That is what we will cover in this video. Setting goals sounds easy but hardly anyone does this correctly. It is all too easy to set unrealistic goals – and when we do this – we don’t get things done. In this video I will show you the best way to set your own specific goals based on what is important to you and your business. 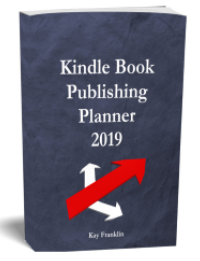 It’s all very well getting everything ready to be more productive but what happens a few months down the road when the initial excitement wears off? How can we stay focused and productive long term? One of the best ways to help prevent this happening is having someone you are accountable to – even better is learning to be accountable to yourself. If you can do this, you won’t have to rely on anyone else and this will be a huge breakthrough for you. So in this last video, I will show you a spreadsheet that you can download and use yourself that will really help you to set goals and projects so that you get back on track and finish tasks. 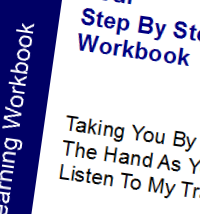 To really help you implement my training I have created a topic learning workbook for you to use as you watch the video course. 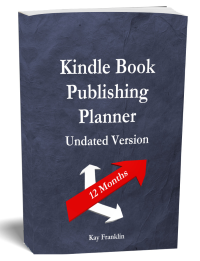 Inside your workbook you will find all the key learning points as well as extra advice and tips. This workbook will really empower you to move forwards faster, to becoming more productive and focused on your online business. You’ll really be able to see what habits stop your productivity and the things you need to change in order to achieve more – all specific to your own personality type. 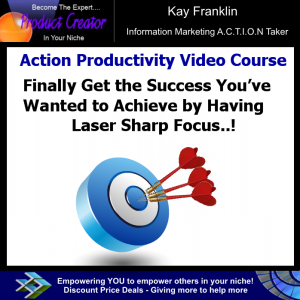 So what’s my price for this entire video course – a complete productivity and focusing system designed just for you – with step by step instructions and valuable resources that you can come back to again and again? If you are fed up of constantly getting distracted and it’s getting you down then you need my course. You see, if you struggle with being productive then every day you put off trying to do something about it, is just another day wasted. P.S. If you want to see success and progress in your business then you need to become more productive. Distraction kills businesses… Don’t let it happen to yours.